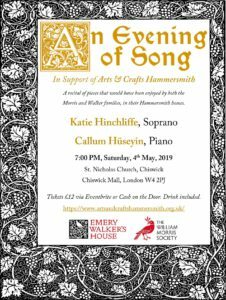 Don’t miss this wonderful performance by soprano Katie Hinchcliffe and pianist Callum Hüseyin of songs that would have been enjoyed by both the Morris and Walker families in their Hammersmith homes. The ticket price includes a glass of wine or a soft drink. 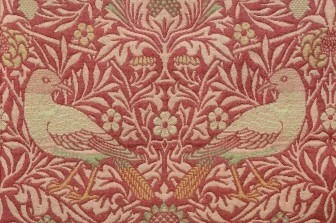 All profits go to support the work of The William Morris Society and the Emery Walker Trust. "if a chap can't compose an epic poem while he's weaving tapestry, he had better shut up"